i b i k e l o n d o n: A last push for Go Dutch! A last push for Go Dutch! 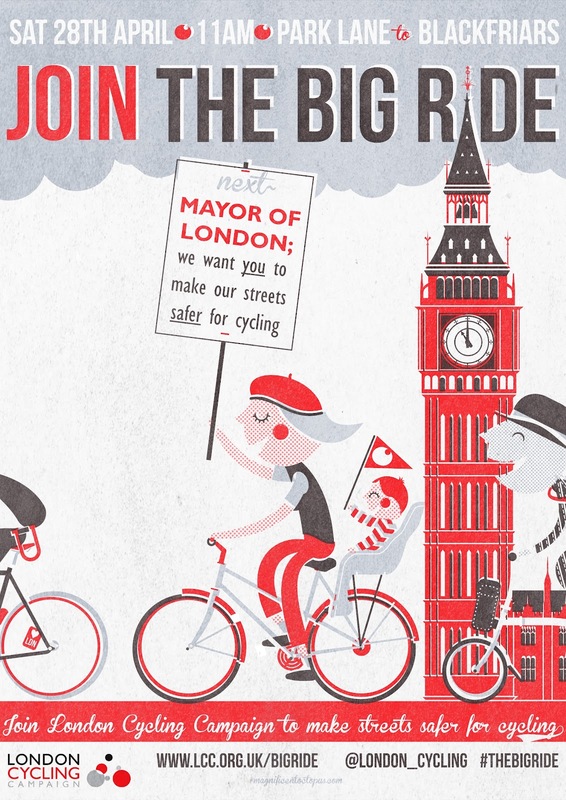 London Cycling Campaign's "Love London, Go Dutch" petition has been going from strength to strength this week with nearly 5000 additional signatures collected by volunteers out on the streets. Last week I was on Blackfriars Bridge with other LCC volunteers and I was amazed at how many people wanted to get involved with "Go Dutch" and sign up (A big 'hello!' to all those lovely cyclists who pulled over to sign) People coming off the bus wanted to sign, people walking down the street wanted to sign. We even had a black cab driver pull over and sign! People - cyclists and non-cyclists alike - really "get it" and know that they would cycle more if only more was done to make all our streets safe and inviting for cycling for all. Here's a great picture taken yesterday morning on Cable Street, the route of Cycle Superhighway 3, of possibly two of the youngest people signing up! What more convincing do people need? It's clear that when the streets are made safe and suitable for cycling for all ages and backgrounds a true cycle revolution follows. The future Mayor of London just can't ignore this. The petition is very close to 30,000 signatories - the biggest that the LCC has ever created - but it's not quite there yet. If you haven't signed yet, then what are you waiting for? In such a closely run election 30,000 potential voters is an awful lot of swing, so the more of us who add our names and voices then the better. Sign up now, and then tell your friends, family and colleagues to do the same. Let's make it to 30,000 by the end of this week! Don't forget that on Saturday April 28th the LCC will be holding their "Go Dutch Big Ride" calling for safer streets for cycling - miles of central London streets will be closed to traffic creating a family-friendly carnival style atmosphere. There are many feeder rides from all corners of London lead by cycle trainers and LCC volunteers meaning you can get to and from the ride safely. It's sure to be a great day out so polish your bike chain, pack a picnic, bring your friends and family and pray it doesn't rain!